Reports about Nokia 9 PureView have been circulating online for months now, and as the launch of the much-talked-about smartphone approaches, more and more rumours about it have been surfacing. Till now, we have seen a few sets of renders that have given us an insight into what the Nokia 9 PureView will look like. 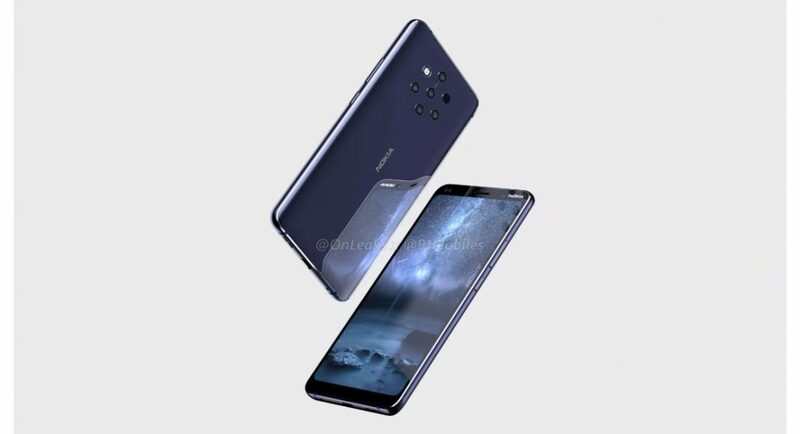 A recent report also suggested that HMD Global will be launching a variant of Nokia 9 PureView with Snapdragon 855 in Summer this year. Now, the smartphone has appeared in the Android Enterprise Recommended catalog, which is a program that was launched by technology giant Google last year. The program’s purpose is to get companies to trust smartphones with the Android operating system for enterprise use. Under the program, Google gives smartphones its seal of approval only if they meet certain requirements to be fit for enterprise use. Some Nokia smartphones by HMD Global already fall under the Android Enterprise Recommended program, and from what it looks like, Nokia 9 PureView will be a part of the program too. According to the catalog listing, the Nokia 9 PureView smartphone will sport a 6-inch display and come with 4GB of RAM and 128GB of internal storage. The listing further said that Nokia 9 PureView will run Android 9.0 Pie and have support for NFC. We should mention that till now, most reports suggested that Nokia 9 PureView will come with 6GB of RAM, however, there is a possibility that the device will be launched in multiple RAM/storage variants. Other features and specifications that have been reported about are an in-display fingerprint scanner, Qualcomm Snapdragon 845 processor, and a display with 2880×1440-pixel resolution. The key highlight of the smartphone is said to be its penta-camera setup on its back panel. Although the nature of sensors is not known yet, a wide-angle and a telephoto lens are expected to be onboard. The camera sensors and the LED flash will be placed in a hexagonal pattern on the back panel of the smartphone, according to the invite image the company shared a few days back. Nokia 9 PureView is one among the most-awaited smartphones from HMD Global’s lineup and the company will be seen taking wraps off it on February 24 at Mobile World Congress 2019 in Barcelona.